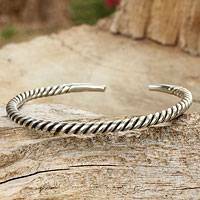 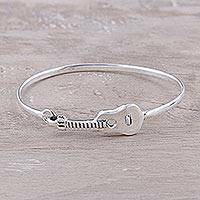 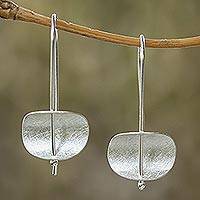 Modern Sterling Silver Cuff Bracelet Handcrafted in Bali, "Strength of Celuk"
Finely crafted cords embrace a wide rope of sterling silver. 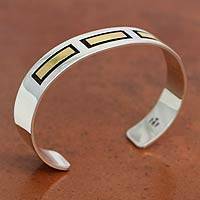 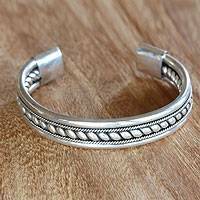 Stylish and modern, this bold cuff bracelet is handcrafted by Yuniati in Bali. 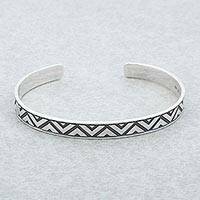 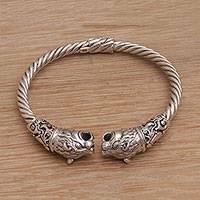 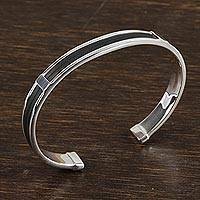 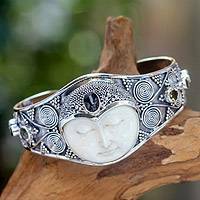 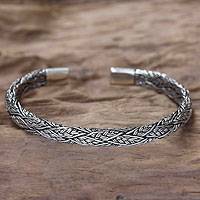 Handmade Sterling Silver Thai Hill Tribe Cuff Bracelet, "Ceriy Strength"